So Apple just released their new iPhones – the iPhone 5C and iPhone 5S (you probably heard) – but that’s only half the excitement. That’s right, because along with these new phones comes new accessories, and here are the options. There’s a bunch of new cases, bumpers, and functional accessories available, so let’s take a dive in. 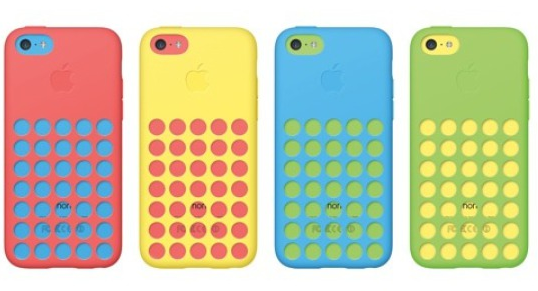 The iPhone 5C, which was described as “unapologetically” plastic can be given extra protection if you so wish by a number of colorful mesh-style plastic cases. These cost $29 and come in the same colours as the iPhone 5C itself so you’re able to either match it up with your device colour, or go retro and mix and match. There is a black option should you wish to tone down the crazy colour a little bit, if that’s your thing. The 5C also gets its own lightening dock which comes in plain white and costs $29. The iPhone 5S comes in very different colours, more like a premium offering, as its meant to be. You’ll get silver, grey, or gold, and as a result there’s a bunch of different bumpers that go along with it. The bumpers generally cost $39, but the special (RED) charity bumper sells solely for $49. They’re made of a leather on the outside and protective microfibre on the inside, and come in a variety of colours. The bumpers definitely try to live up to the more premium feel the iPhone 5S is trying to be marketed as over the 5C. Apple’s website lists a $29 dock too, which is cross-compatible with the regular iPhone 5. They’re pretty cool accessories, allbeit slightly pricey ones, but who cares when you’re buying a new iPhone right? No expense sparred to have cool looking device! Let us know your thoughts on the crazy iPhone 5C cases in the comments section below.